Robert Jeffrey Sternberg is an American psychologist known for his theories on love, intelligence, and creativity. He was born in New Jersey on December 9, 1949. Sternberg's interest in psychology began early in life. After suffering from test anxiety and doing poorly on an exam, he realized that the test was not an accurate measure of his actual knowledge and abilities. When he retook the same test in a different room with a group of younger students, he found that he felt more confident and was scored much higher as a result. The next year, Sternberg developed his very first intelligence test, which he named the Sternberg Test of Mental Ability (STOMA). His later academic experiences further demonstrated that standard tests were often poor measures of mental abilities. He actually performed so poorly in his Introductory Psychology class that his professor advised him to pursue a different major. Undeterred, Sternberg went on to graduate from Yale with a bachelor's in psychology in 1972 and earned his Ph.D. from Stanford in 1975. After earning his degree, Sternberg returned to Yale as a professor of psychology. He later became the Dean of the School of Arts and Sciences at Tufts University. He was a professor of psychology at Oklahoma State University, and later president and professor of psychology and education at the University of Wyoming. He is currently professor of human development in the College of Human Ecology at Cornell University. Sternberg is perhaps best known for his research on intelligence, love, cognitive styles and creativity. His triarchic theory of intelligence focuses on what he refers to as "successful intelligence" which is composed of three elements: analytical intelligence (or problem-solving abilities), creative intelligence (using prior knowledge and skills to deal with new situations) and practical intelligence (the ability to adapt to a changing world). Sternberg is also known for his research on love. 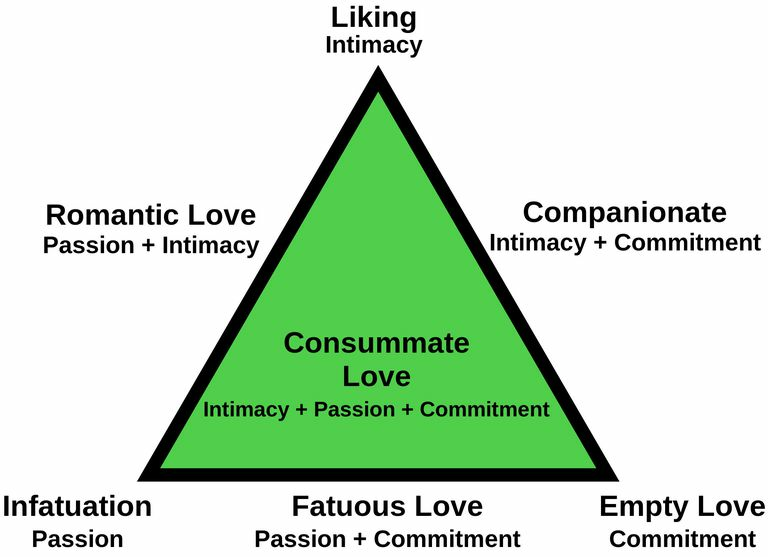 His triangular theory of love identifies commitment, passion, and intimacy as the three main components of love. When these three elements are combined in various ways, they result in different types of love. For example, passionate love is composed of passion and intimacy, while compassionate love is a mix of intimacy and commitment. "Successfully intelligent people discern their strengths and weaknesses, and then figure out how to capitalize on their strengths, and to compensate for or remediate their weaknesses. Successfully intelligent individuals succeed in part because they achieve a functional balance among a "triarchy" of abilities…Moreover, all of these abilities can be further developed." Sternberg served as the President of the American Psychological Association in 2003 and has won numerous awards including the Distinguished Scholar Award from the National Association for Gifted Children in 1985, the James McKeen Cattell Award from the American Psychological Society in 1999 and the E.L. Thorndike Award for Achievement in Educational Psychology from the APA in 2003. He also has written more than 1,600 articles, book chapters and books have been awarded 13 honorary doctorates. He was listed by the APA as one of the top 100 psychologists of the 20th century and is a fellow of the American Academy of Arts and Sciences and the National Academy of Education. Sternberg, R. J. (1996). Successful Intelligence. New York: Simon & Schuster. (Paperback edition: New York: Dutton, 1997). Sternberg, R. J., & Grigorenko, E. L. (2000). Teaching for Successful Intelligence. Arlington Heights, IL: Skylight Training and Publishing Inc.
Sternberg, R. J. (2007). Wisdom, Intelligence, and Creativity Synthesized. New York: Cambridge University Press. Sternberg, R. J. Personal CV.